Flip Out Mama: Man Moment: Kontrol Freeks Review and #Giveaway! 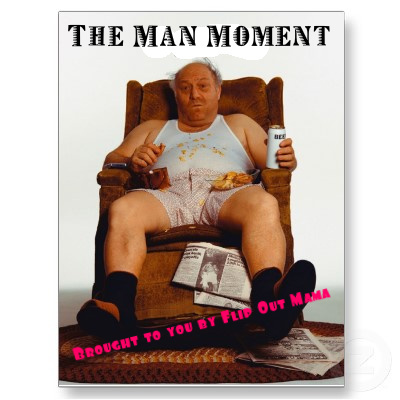 It's time for another Man Moment here at Flip Out Mama! This week, hubs is going to tell you all about Kontrol Freeks, an awesome company that makes lots of great products for the gamer guys in your life! Being an avid gamer, I am always looking for ways to step up my play. Well, Kontrol Freeks FPS freaks have helped me a ton! 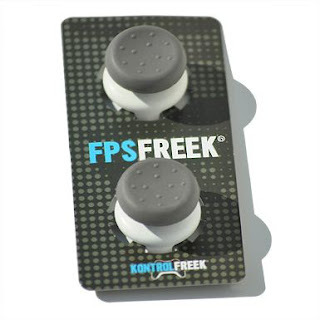 "KontrolFreek is the leading developer of innovative gaming accessories that enhance the gaming experience and give gamers of all skill levels the competitive edge. 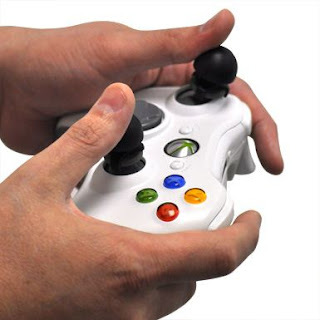 KontrolFreek products are developed based on a careful study of ergonomics, ensuring each product also helps to reduce gamer fatigue, improving overall gaming comfort. Our gaming products are designed to elevate the gaming experience by improving performance and reducing fatigue. Each is carefully engineered to reduce force inputs while increasing player comfort, helping to improve accuracy and decrease reaction times. Don't think of it as cheating, think of it as an evolution (or maybe even a revolution) for your thumbs. We are a company made up of gamers, just like you. We live for perfectly placed grenade kills, quick-scopes, no-scopes, Wager Matches and gratuitous dog tag collecting. We are fueled by our desire to win, the constant need to improve and plenty of caffeine. Our full line of quality controller accessories have been engineered with those desires in mind." 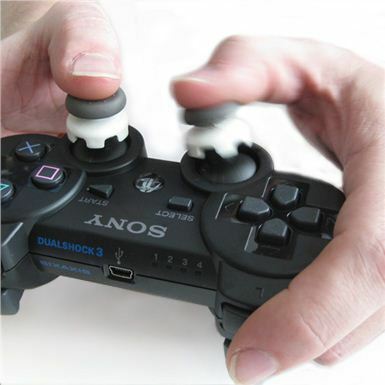 What they do is actually pretty simple, they raise both of your analog sticks buy about 1/4 inch or so. I know it doesn't sound like it does anything fancy right? I play alot, too much really. The FPS Freeks take my play style up a few notches by giving me more range of motion in both up and down and side to side. The added height to the joysticks make it easier to set your sensitivity way up, I mean WAY up! keep my sensitivity on around 5 or 6, not with these things on. I have it as high as it will go! With the sensitivity up, I am able to look left to right as I run to do a quick scan of what ever map I am on, without losing place of the center because I looked too far either way. One thing they really help with is my trick shots, you ever try to 360 quick scope on someone with your sensitivity on 6? Helps get that phenomenal game winning kill cam every time. I wish I would have had these about a year ago, or 2, but you can bet they will be firmly attracted to my controller on Nov,8,2011! Best part, you aren't cheating, not modding, no opening your controller, just open the package and press them on..
We also received a really awesome package of Rcade Freeks! I don't play many games that I could use these with, but my little man plays Pac Man a lot, and he really liked using these! He just couldn't believe that these are the things that were on all video game controllers in the "old days" LOL! 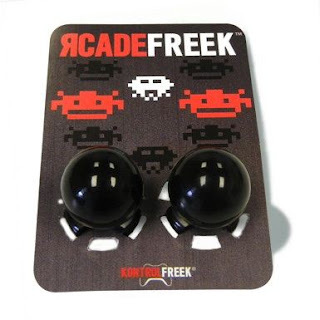 The Rcade Freeks are great for games like Pac-Man, Soulcalibur, Tekken 6, and many more! Do you wanna try these?? Kontrol Freeks is giving away a pack of First Person Shooter Freeks and a pack of Rcade Freeks to one lucky Flip Out Mama reader! Leave a comment and tell me your favorite video game of all time! 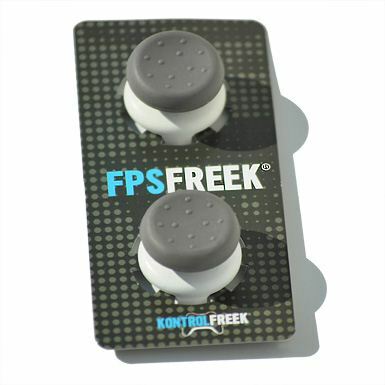 +1 Follow Kontrol Freeks on Facebook here and tell 'em Flip Out Mama sent you! +1 for each: enter any of my other current giveaways. Leave a comment telling me each one you entered! This giveaway will end on 9/11/2011 at approx 11:59 pm EST. Winner will be chosen via random.org and will have 48 hours to respond to email notification or an alternate winner will be chosen. We received a sample product in order to conduct this review. Although a sample was received, all opinions are our own and we received no monetary compensation. Sponsoring company is responsible for shipment and fulfillment of prizes. anyways, my fave game was always tetris! My favorite is the regular tetris on atari. I like the old games on Nintendo. Mario Kart is a favorite. Following Kontrol Freeks on FB and posted on their wall.